Because you don’t mess with Cher. Just ask director Lasse Hallström or Frank Oz, who was first originally hired to take over the reigns from Hallström before he, too, was booted. And then there is Emily Lloyd. Poor Lloyd got dropped so suddenly (due to Cher’s whim about her hair color) that she attempted to sue Orion. Taking place in 1963, director Richard Benjamin’s Mermaids is a mother and daughter dramedy that is notable for a number of reasons. Plagued with a number of production issues (some are listed above), the film shouldn’t have worked. Everyone had counted it out thanks to the multiple directors and the lawsuit. Instead, of course, the movie soared with a unique voice; sometimes the best sort of art comes from constant strain and this is one of those films. 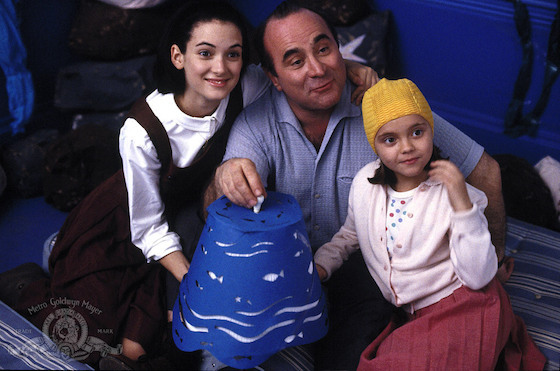 Mermaids, buoyed by a rich soundtrack of era staple pop songs, is Christina Ricci’s first film. Winona Ryder, cast as the awkward and sexually curious 15-year-old, Charlotte Flax, was nominated for a Golden Globe Award for best supporting actress for her work in this coming of age story. And Cher, starring alongside Bob Hoskins, turns in one of her best performances as their mother, a woman who moves her kids from town to town, state to state every single time a relationship gets hot and heavy or goes south. 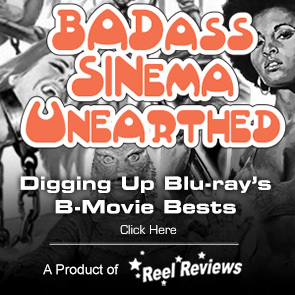 "With more than a little history repeating, Mermaids makes a splash on blu-ray. Many years ago, it burned (and earned) a place in my cinematic heart and it does it again with this release from Olive Films." Everything in Mermaids works to create a moving narrative that will still charm its way into your heart. If you have never seen this movie, you are in luck. Olive Films has released the movie on bu-ray for your HD enjoyment and it looks and sounds superb. Written by June Roberts, this tale opens in Oklahoma but quickly moves the action to Massachusetts, thanks to Mrs. Flax’s glamorous desires and whims. She makes finger foods for breakfast, lunch, and dinner and wants her children to be her friends. Most of the time it works and her personality infects this who production with a solid slice of heaven. You know how it goes: if she is happy then we are. But this isn’t exactly her story. Narrated by her oldest daughter, we see the world (and the boys) through her eyes. It’s not that we don’t spend time with Rachel and her new beau, Lou Landsky, a shoe shop owner. We do. It’s just that this film is exactly situated around all the girls – including Ricci as Kate, a fantastic swimmer – as the girls come to realize that they are the adults and she is the child. Mermaids is a touching story. Based on a book by Patty Dann, the film is filled with comedic highs and historical lows – like the assassination of JFK as experienced by school students (which is a bit out of place) – as life happens around the Flax’s. People gather around the television in the stores and Charlotte, in response, vows herself to Catholicism as she runs into the arms of the 26-year-old handsome caretaker of the convent, Joe (Michael Schoeffling) and is left with the gift that keeps on giving: lasting lust. Soon enough, she is at war with her mother. With more than a little history repeating, Mermaids makes a splash on blu-ray. Many years ago, it burned (and earned) a place in my cinematic heart and it does it again with this release from Olive Films. Tagline: This is our mother. Pray for us. Memorable Movie Quote: "Oh god. I think I might be pregnant with the next Jewish Italian Messiah"
Synopsis: Mermaids features Cher as Rachel Flax, the eccentric matriarch of the Flax family that includes daughters Charlotte, an awkward, quirky teen torn between her personal devotion to becoming a nun (despite being Jewish) and her longing for romance, and Kate, a nine-year-old whose interest in swimming may be a result of an inherited gene from Rachel’s one-night stand with an Olympic contender. 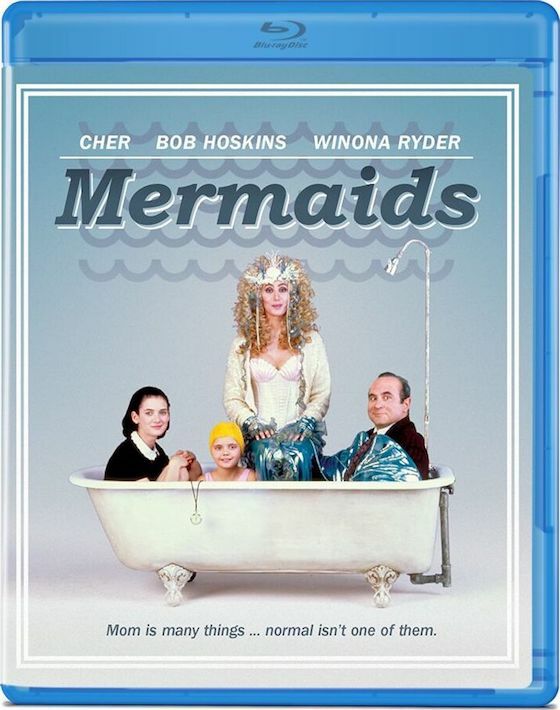 Olive Films presents Mermaids on blu-ray with solid results. The transfer (with an aspect ration of 1.85:1) looks pretty solid for a film shot in 1990. Some shots, due to the era of the day, are fuzzier than others but the image is reasonably well defined with crisp contrasts and solid textures. Colors are solid. Blacks are, too. Surprisingly, there's enough fine detail on display to make this seem revelatory for those used to the previous DVD release. Its era-friendly palette looks terrific, too. While there is not much difference between them, the disc comes with a DTS-HD Master Audio Stereo soundtrack.